AUSTIN — The Texas General Land Office (GLO) and the Federal Emergency Management Agency (FEMA) have announced that housing assistance response team members will be proudly working through the holiday season - weekdays and weekends - in continuation of an effort to get eligible Hurricane Harvey survivors into homes. "Home for the Christmas holidays has much greater meaning for those affected by Hurricane Harvey," said Commissioner Bush. "Coastal Texans have endured the largest, most damaging natural disaster in our nation's history and the members of the joint FEMA/GLO short-term direct housing recovery team are proudly working night and day - through the holiday season - to make it a reality for those Texans who need our help." Nearly 900,000 Texans applied for federal assistance - and FEMA has been working to assess these applicants, determine eligibility and provide assistance. As of November 14, 2017, over 140,000 households have received rental assistance, over 76,000 have received repair assistance and 367 households have received over $8.8 million in replacement assistance. In addition, individuals have been approved for over $2 billion in home loan assistance via the Small Business Administration. As of November 17, 2017, FEMA has determined that over 8,600 applicants are eligible and in need of direct short-term housing assistance. As FEMA and GLO continue to provide assistance through the direct housing program, more than 800 applicants have been identified as eligible to receive repairs to their homes through the Direct Assistance for Limited Home Repair (DALHR) program. The direct short-term housing assistance team continues to rolloutmanufactured housing units and travel trailers with 1,605 home site inspection reviews currently in progress, 371 "haul and install" work orders having been issued and 199 units that have been "licensed in," which means the families have been given the keys and taken possession. As additional families register for assistance, FEMA continues to identify households who are eligible and in need of direct housing assistance. "We are moving deliberately with a keen sense of urgency," said Federal Coordinating Officer Kevin Hannes. "We know that being in your home, although temporary, makes all the difference during the holidays." Each housing program is unique and every application is evaluated individually for eligibility. 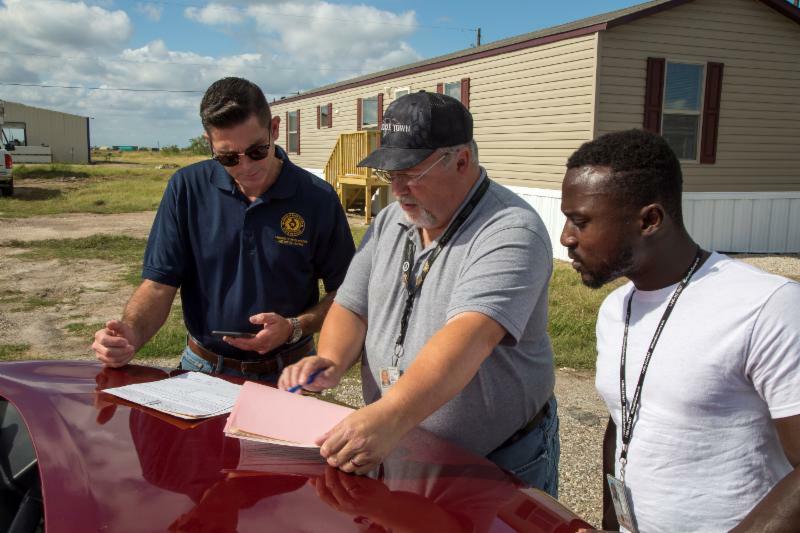 FEMA determines if applicants are eligible and then survivors are matched with the best available housing solution to meet their individual needs. By advancing temporary housing solutions for Texans at the local level, housing is implemented in a manner best suited to enhance and support Texas' long-term rebuilding process. GLO is spearheading the management of the housing mission in Texas, working alongside the city of Houston and Council of Governments (COGs), with financial support from the federal government. The first step to be considered eligible for direct housing assistance is to be registered with FEMA by visiting www.disasterassistance.gov,calling 1-800-621-3362, TTY 1-800-462-7585, or visiting a nearby Disaster Recovery Center. Texans already registered with FEMA and deemed eligible for direct housing will be contacted regarding their next steps.